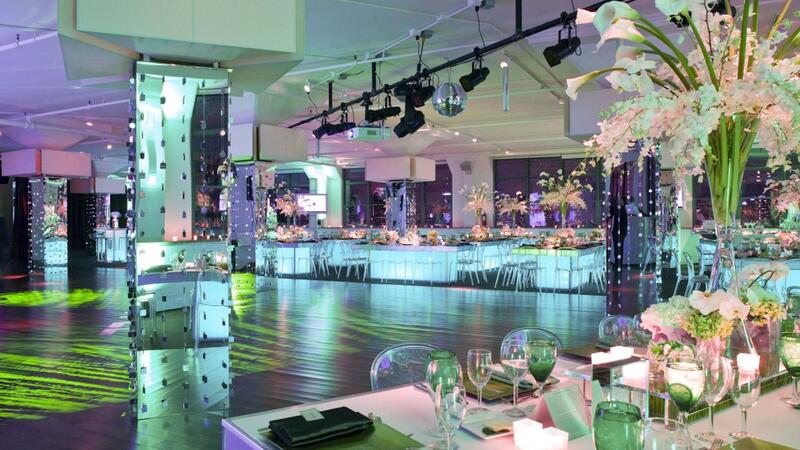 Rent Three Sixty° | Corporate Events | Wedding Locations, Event Spaces and Party Venues. 360° provides the perfect backdrop for private and corporate events, offering stunning views of New York, New Jersey and their prominent landmarks. An exclusive venue, Tribeca 360° has been featured by The Knot and Carats&Cake as one of the top locations for weddings in Manhattan. Whether a corporate breakfast, business luncheon, gala reception, silent auction, holiday party or movie screening, we approach the planning process with the utmost detail to create best options for your specific needs. Every couple has a unique vision of their special day. We offer everything to create it - a magnificent venue, breathtaking views, unparalleled cuisine, and truly amazing service. Our well-seasoned event team will assist you in creating the most memorable experience for you and your guests. Apart from weddings, we also host a variety of other social celebrations including Weddings, Bar/Bat Mitzvahs, Birthday and Anniversary Parties, Engagement Celebrations, Baby and Bridal Showers.